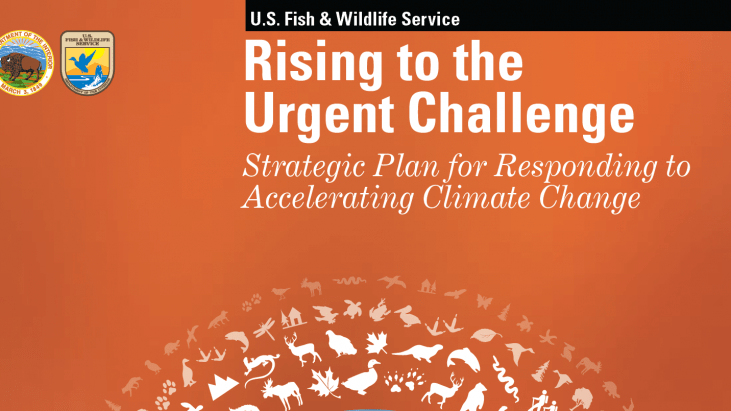 As a Service and Department we must act decisively, recognizing that climate change threatens to exacerbate other existing pressures on the sustainability of our fish and wildlife resources. We must act boldly, without having all the answers, confident that we will learn and adapt as we go. And most importantly, we must act now, as if the future of fish and wildlife and people hangs in the balance — for indeed, all indications are that it does. As a Service, we are committed to examining everything we do, every decision we make, and every dollar we spend through the lens of climate change, fully confident in our workforce to rise to this challenge and to lead from in front and from behind. We recognize their efforts that are already underway, and we look to our employees for their on the ground knowledge and expertise in focusing our energies and recalibrating our activities. 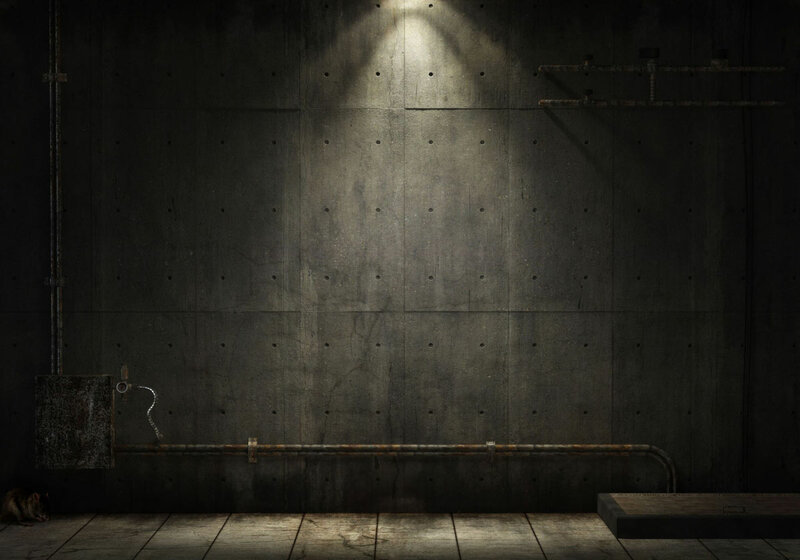 Our Strategic Plan acknowledges that no single organization or agency can address an environmental challenge of such global proportions without allying itself with others in partnerships across the nation and around the world. This document commits us to a philosophy of interdependent, collaborative conservation, rooted in our Climate Change Principles. 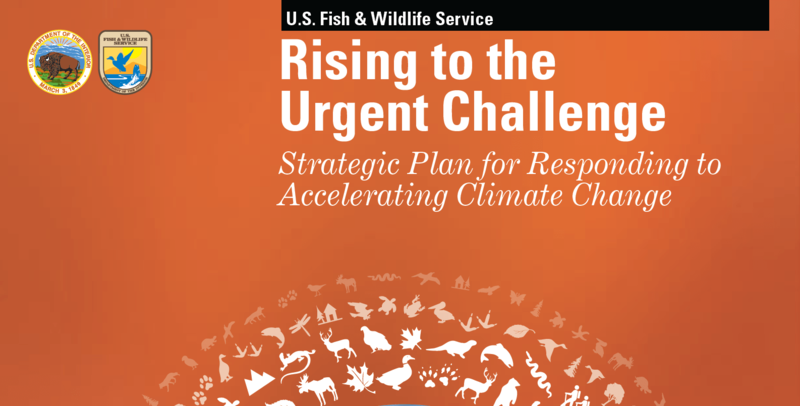 this plan, we express our commitment to our vision through strategic goals and objectives that we believe must be accomplished to sustain fish and wildlife nationally and internationally.